Laure Gorand and Carla Macari have been missing since the beginning of February, with police deeming their disappearance as “worrying” since Monday February 4. 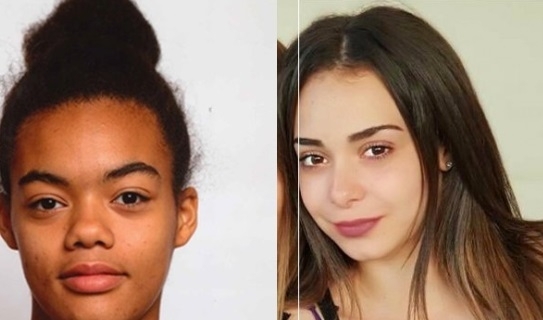 The girls were seen at school - the La Favorite lycée in Sainte-Foy-lès-Lyon - the morning of February 4, but neither student has given “any signs of life” since around 15h the same day. Ms Gorand is described as dark-skinned with black hair and brown eyes, and a slim-but-muscular build. She was wearing dark trousers and a “fake fur” jacket with red and white stripes when she disappeared. Ms Macari is described as white, with long light-brown hair, and brown eyes, and a slim build. She was wearing black jeans, white T-shirt, black blouse and black sports shoes when she disappeared. Anyone with any information, or any suspected sightings of the girls - whether alone or together - is requested to call the police commissioner in Lyon 7 on 04 72 71 57 30 during daytime, working hours, and 04 78 78 40 40 at evenings and weekends.